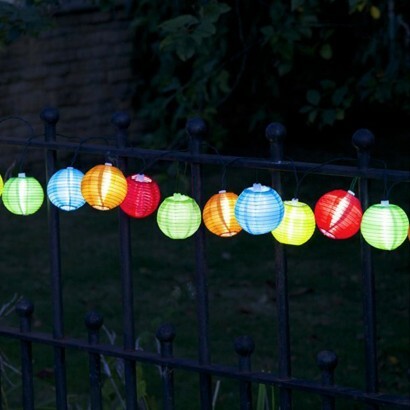 Pretty solar powered Chinese lanterns add instant atmosphere to your garden with bright colours and magical fairy lights. 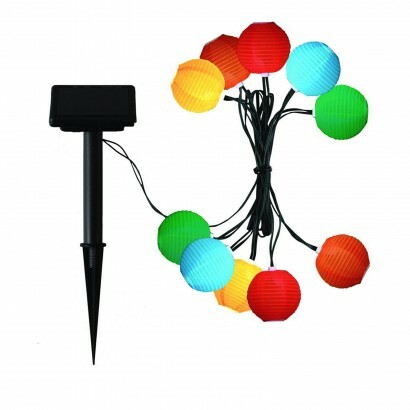 Perfect for adding a splash of playful colour to your garden, these decorative lanterns are solar powered and require no wiring, simply stake the solar panel where it will receive maximum exposure to light and decorate trees, bushes, trellises, fences and more with colourful mini lanterns that automatically turn on at night. Love them! Really bright glow and look lovely and colourful during the day too. short string of solar lights bit fiddly to assemble but ok when done.Reasonable glow but obviously not as bright as electric.Not bad for the money. 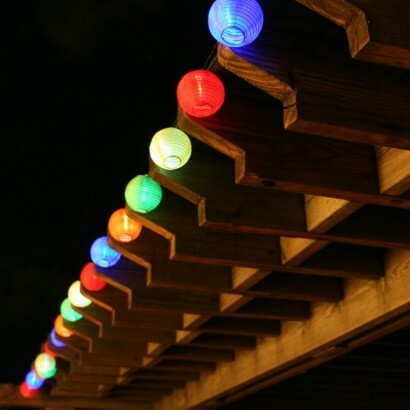 I tell you what, put them up last weekend and its a great look, just casual & relaxed. For the look, they cost nothing, really. Recommended.